Home Latest New Balochistan in Making? 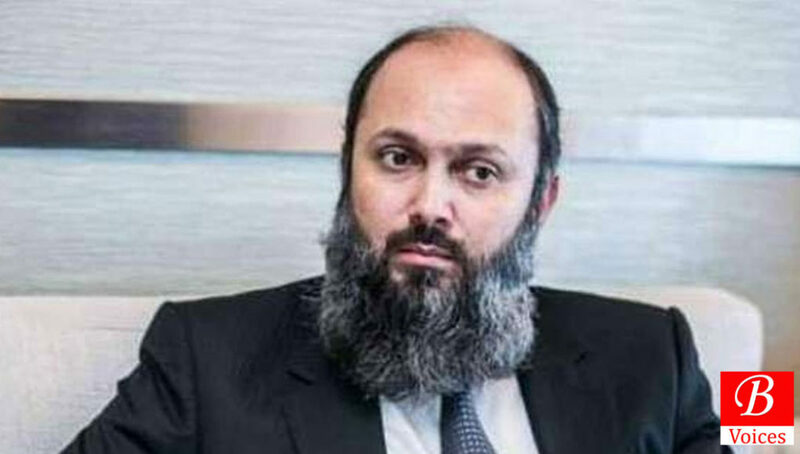 Jam Kamal, the candidate put forward by the Balochistan Awami Party (BAP) and the Pakistan Tehreek-i-Insaf (PTI), took oath as chief minister (CM) of Balochistan on August 19. This was the day when the proverbial Naya (new) Balochistan came into existence. Since then, however, the people of this province have not witnessed significant improvement in their lives. The government has not yet taken any decision to provide any relief to them, except one publicity stunt of opening the Governor’s House for students for one day. However, some claims made by CM Jam Kamal last week might be the stepping stone of a new Balochistan. Jam Kamal Khan Alyani is the Jam of Lasbela, a princely state which became a part of Pakistan in March 1948. Jam Kamal’s family has always found a place in the corridors of power. Jam Ghulam Qadir, grandfather of the current Jam, served as CM of Balochistan twice (1973-74 and 1985-88). Jam Yousaf, father of Jam Kamal, served as CM of Balochistan between 2002 and 2007. This makes Jam Kamal the first third generation chief minister of a province in the history of Pakistan. During General (r) Musharraf’s rule, Jam Kamal served twice as the nazim of Lasbela. He also served as minister of state for petroleum and natural resources in the cabinets of Nawaz Sharif and Shahid Khaqan Abbasi. He quit the Pakistan Muslim League-Nawaz (PML-N) in April this year and joined the newly-established Balochistan Awami Party (BAP) as its president. BAP is alleged to be the baby of the establishment, a charge which members of BAP reject. 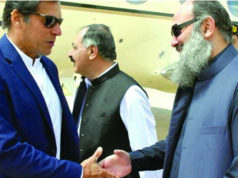 Jam Kamal was the only CM who accompanied Prime Minister Imran Khan in his first official visit to China in the first week of November. After concluding his visit, Kamal reached Quetta and called a press briefing, inviting all senior journalists and editors of Quetta. In this briefing, on November 7, Chief Minister Jam Kamal made some tall claims. Kamal boldly told newsmen that from now on, the Balochistan government would not transfer ownership of land to any foreign company. 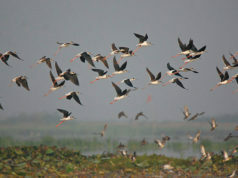 The land would only be provided on lease, rent or shared equity. This claim was made in the backdrop of fears that foreign projects will take over land in Balochistan and turn the local population into a minority. Jam Kamal has indeed taken a bold step by making this announcement but it might prove difficult to stand by it. Chinese projects under the China-Pakistan Economic Corridor (CPEC) and some possible Saudi projects in Balochistan would require land and it would be very difficult for Jam to refuse them ownership. However, if he stands his ground then he would surely protect the interests of people of Balochistan. Another claim made by the chief minister made was about the minerals projects in Balochistan. Kamal said he had told the federal government in writing that only the Balochistan government would negotiate these projects in the province with foreign companies, and that the federal government could only act as a facilitator. The context of this claim is that reportedly the federal government had offered Saudi Arabia to take up Reko Diq gold mines in Balochistan in return for a bailout package. The agreement signed by Pakistan and Saudi Arabia during Prime Minister Imran Khan’s recent visit did indeed mention minerals projects in Balochistan. But Kamal has effectively shut the door on the federal government negotiating these projects in Balochistan against the interests of the province. The rationale behind this decision is that if Balochistan kept on giving up its land, then it will be left with nothing in terms of valuable assets in the future. Again, Jam’s decision reflects consideration of interests of the province. Jam Kamal made another claim. He said that the former federal government had intentionally left Balochistan behind in CPEC’s projects. Nationalist politicians, civil society members, and journalists had repeatedly claimed that the previous government had deceived the people of Balochistan in name of CPEC. Jam Kamal revealed that the HUBCO power plant and a small portion of Gwadar port are the only projects in Balochistan which were funded through the CPEC framework. He criticized Nawaz Sharif for inaugurating a highway project in Balochistan which was funded by Asian Development Bank and calling it the western route for CPEC. In the past, chief ministers of Balochistan were apologetic about the role of federal government in CPEC but Jam Kamal has changed that approach. He vindicated the point of view of all the critics who accused the Sharif government of exploiting resources of Balochistan to get Chinese funding and then diverting it to the Punjab. With this approach, Balochistan can ask for an increased share in CPEC to compensate for the injustices meted out by the previous government. There is just one problem. When Sharif was supposedly deceiving Balochistan in the allocation of CPEC projects, Jam Kamal was part of his cabinet. He never uttered a word against Sharif then and nor did he speak for the rights of Balochistan during the last five years. Notwithstanding this moral dilemma, his recent change of heart or political machinations are a good starting point. The new stand by the CM is already making waves in Islamabad. This apparent uncompromising approach is apparently creating a wedge between Balochistan and the federal government. More than one official privy to this told this scribe on condition of anonymity that Prime Minister Imran Khan has expressed his displeasure on the harsh letters written by Jam Kamal about mineral projects and issues of ports. Presently, CM Jam Kamal is facing a threat of no-confidence from the disgruntled members of his own party. There are rumors in Quetta that the Jam Kamal government can be toppled at any time, just like the government of Sanaullah Zehri of the PML-N. If the PTI pulled support of its members in the Balochistan Assembly, then Jam’s government will find it very hard to survive. So, by taking a stand for Balochistan’s rights against the federal government, Jam might be endangering his own government. Jam seems to have many plans for improving the economy of Balochistan. He recently announced a road show in Shanghai in two months to showcase products from this province which could be sold in China. He talks about attracting foreign investment to promote commercial activity in Balochistan. He also announced to investigate illegal allotment of land in Gwadar and so on. However, he has not addressed the issue of the on-going conflict in Balochistan since 2005. The solution of the Balochistan conflict is a pre-requisite for economic development and prosperity in the province. Without addressing this problem politically, no mega project or foreign investment can improve the situation. 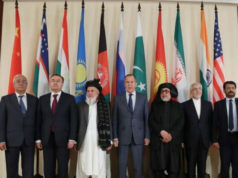 In all fairness, while facing adversities from his own party members and allies in Islamabad, it would be too much to ask from Jam Kamal to take the Balochistan conflict head-on. Apparently, that is why Jam Kamal is only focused on the economic front and that will likely to be his strategy in the months to come. Next articleCPEC and Saudi Arabia?